Elephants in the wild generally do not suffer serious health problems and diseases. In captivity, even when provided with a good diet, elephants suffer from a wide range of serious and debilitating diseases and illnesses.The government’s domestic elephant policy itself speaks of ‘miserable health condition’ of captive elephants. The condition of Nepal’s privately owned working elephants needs to be addressed immediately. Without the tourist noticing, the elephant he or she drives during a leisurely safari could be blind, aged, or suffering from TB. The majestic working animal might be malnourished or dehydrated. And almost always the elephant will be overworked, overloaded and the victim of repeated beatings. The industry needs to introduce international ABTA standards to ensure humane conditions for these hard working animals. That Nepal has no law against elephant abuse? That privately owned safari elephants are smuggled across the border from India? That although humane training has been introduced, the training of young elephants is mostly still a very cruel one? That among the elephants used for safaris one can find underaged, blind, aged and sick ones? That many elephants have wounds on or behind their ears caused by the use of ankush or bullhook? That many elephants suffer from malnutrition? That they work up from 6 am till 6 pm, with a lunch break? That elephants also are made to work during extremely hot weather? That they hardly ever get a holiday? That elephants are only supposed to carry 150 kg and that the saddle and paddings already weigh close to 100 kg? That 30% of working elephants suffer from TB which can be transmitted to humans and vice versa? That Nepal has no sanctuary and that elephants as old as 68 still work day in day out? In the absence of welfare rules and monitoring, safari elephants tend to be mismanaged. They suffer from a lack of proper diet, veterinary care, clean stables and the ability to express natural behaviour, while being overworked, overloaded and abused. They also tend to suffer from tuberculosis and diseased feet. 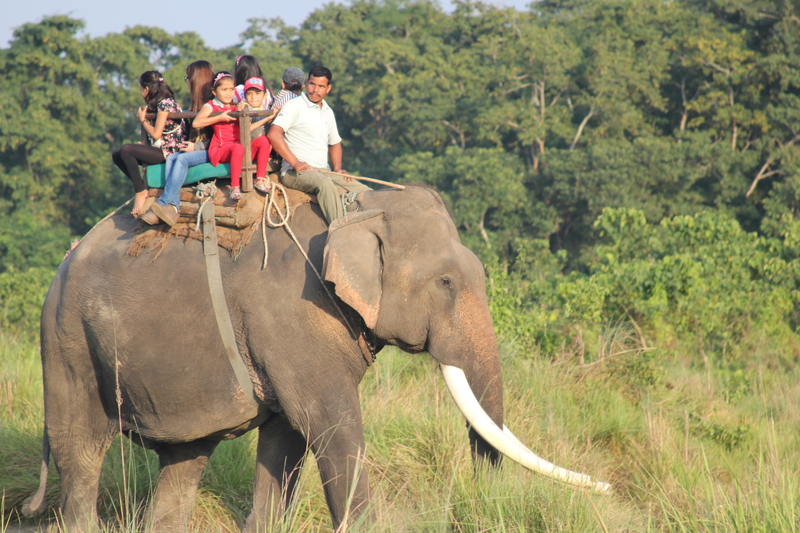 A recent survey by Animal Nepal learns that the welfare of safari elephants is severely compromised. A major concern for the conditions of captive elephants is the absence of a sanctuary for sick, handicapped and aged jumbos. As a result these elephants continue to work, day in day out. Don’t these loyal, hard working animals deserve a better fate?